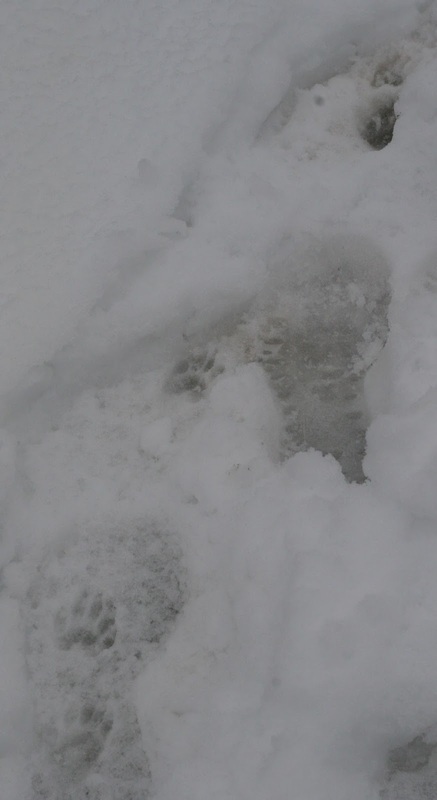 I have been following a worn path through the snow to check on the chickens. Yesterday I noticed that something else had been following my path. At first I thought it had simply crossed my path but then I realized it was following in my footsteps. In fact, it followed them right up to the door. Fortunately, it was not tall enough to open the door! I keep my hens in a small greenhouse in winter. Some years back the foxes broke the glass and killed them all. Now I have the greenhouse wrapped in chicken wire - top sides and front. 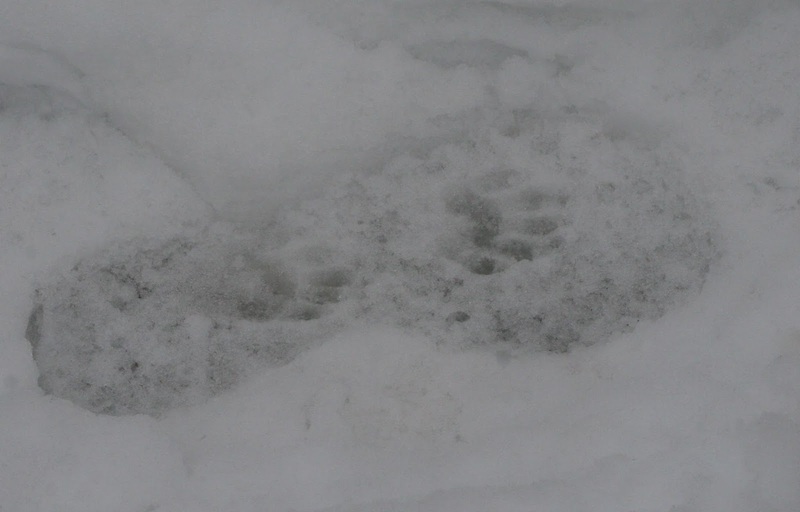 And the tracks are there, Mr. Fox visits regularly. I have Rhode Island Reds, they have such great dispositions. As long as I keep the light on and give them 14 hours of light a day they keep right on laying delicious eggs. I do love those girls. I live in Lawrence, Kansas in town...and in my backyard I have seen foxes...and last week a coyote. Across the street from me the houses back upon a wooded stream area and those neighbors have spotted, gulp...a bobcat and a cougar. WOWZERS!!!!! 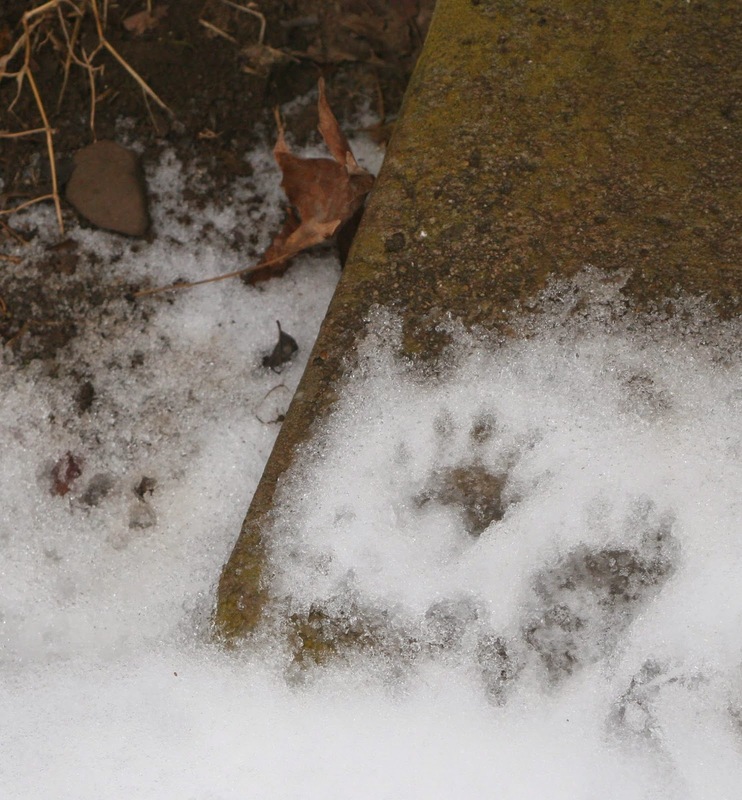 I am ignorant about animal tracks, but are those fox? How very clever of it! Everything is so hungry right now. Guessing this is a raccoon.